WordPress makes it easier to edit the content already on your website, add new content and delete old content without paying for a web designer. If you navigate to any website on the internet, let’s say my own website at www.beyond-paper.com, the information that you see resides on computers called servers located all over the world. The companies who own and manage those servers are called hosts or hosting companies. The majority of people who have websites buy a hosting package from a hosting company which will hold all of the information needed to display their website. WordPress itself is just a software program that is installed in your hosting account. When someone types in a URL for your site, WordPress builds the page from the information in the database. If you want to change the content on one of the pages in your website you will type an admin URL into your browser and login to an administrative control panel that allows you to make all kinds of changes to your site. The header, which is the same on all pages. The footer, which is the same on all pages. Because the header and footer are the same on all pages, WordPress keeps one copy of each of them. That way, when a change is made to the header, the change occurs on ALL of the pages – I don’t have to manually make that change to all of the pages! The same with the footer. Meanwhile, the content, which does change from page to page, is kept in a separate spot. WordPress uses the URL of a page to figure out what content to pull out and match with the header and footer. All of this information about content management systems and parts of a web page are important, because you are going to be able to edit parts of this page yourself. Notice I said “parts of this page”. There are some things that you will need a web designer, or a WordPress-savvy friend to change for you, but if your site is set up correctly you should be able to change most of the text and images in your site yourself. So what is WordPress? WordPress is a content management system that lets you make content changes to your site yourself, without the intervention of a designer. You want to make edits to a page on your WordPress site, but you aren’t sure what page to look for. The best place to identify the page name is in the URL for the page you are looking at. Look in your browser URL bar – everything after your domain name will tell you a lot about where your page is located. 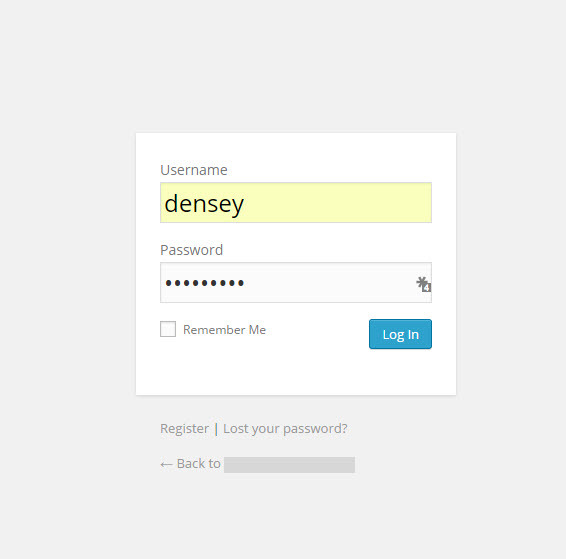 WordPress will add dashes to your page name if it contains more than one word. So /about-us/ for your About Us page. WordPress will create pages for category listings and for blogs – these virtual pages aren’t accessible from Dashboard->Pages. Instead these virtual pages are created from Posts. You will need to go to Dashboard->Posts and find the post. For example, here is the URL for the page that shows all my posts in the category “news”. I’ve Identified the Page Name from the URL, Now What? Log into WordPress Admin and from your Dashboard click on Pages->All Pages. You’ll see a list of all of the pages on your site. Using the name you got from the URL, you should be able to identify the page. Click Edit and do your thing! This will require creating or editing a template and is beyond the scope of this FAQ. Making Edits in WordPress: Page, Post or Widget? In this FAQ we looked at how WordPress website pages are broken into three major parts; the header, footer and content area. This is important, because where you edit each of those parts may be in different spots in the WordPress administration. In this FAQ we are going to look at the parts of the page to identify from where the content is coming. 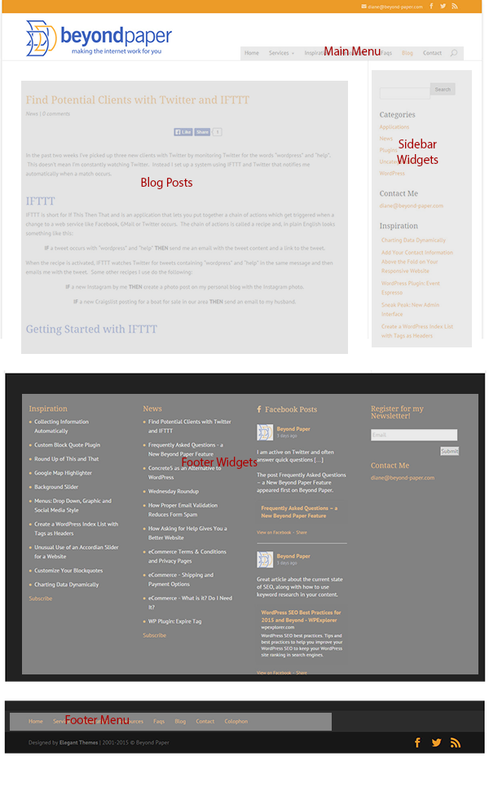 To the right is a screenshot of my blog page and I’ve blocked out and identified the areas. I know this is a virtual page that was created by WordPress, meaning there isn’t really a Dashboard->Page for me to edit. Instead all of the content areas are being pulled in from different spots. I know this is a virtual page that was created by WordPress, meaning there isn’t really a Dashboard->Pages->All Pages for me to edit. Instead all of the content areas are being pulled in from different spots. How do I know that? Well, first I know that the page changes when I add a new blog post – the most recent post appears without me needing to edit a page. If it were a page, the content area would stay the same unless I went into Dashboard->Pages->All Pages to change it. If I want to change the text or image in a post, then I obviously need to find that post and edit it. (The name of the post is usually the same name that appears under Dashboard->Posts->All Posts). If the area I want to change isn’t part of a post, and isn’t page content, then it is probably a widget or a menu. 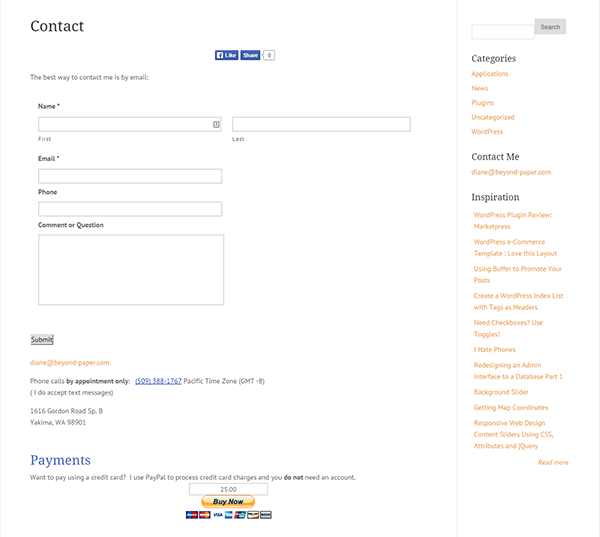 As you can see from my example, I have two menu areas – one at the top and one at the bottom, and two widget areas – one in a sidebar and one in the footer. How do I know the difference? It isn’t as obvious as you may think because you can have menus in widgets! Menus are controlled in the admin under Dashboard->Appearance->Menus. By looking at the menu listed in the editor and comparing them to what I see on my site I can tell that the menus are being controlled there. So, if I need to make changes to a menu, I will edit them in Dashboard->Appearance->Menus. I also checked in the Menu editing area for a menu called “Inspiration” because that left hand column in the Footer area looks like it could be a menu. I don’t see a matching menu, however, so it must be a widget. View your widget areas and widgets under Dashboard->Appearance->Widgets. Each box on the right is a widget area and you should be able to match widget areas up to the areas you see on your site. They match! So I know the content I need to edit is in this widget! Want to use WordPress for your site? The first question new users have is WordPress.com vs WordPress.org. It really depends on what you want your site to do, how much you want to spend on your site and how much you want to be involved in maintaining your site. No premium themes or customization – you are limited to themes in the WordPress.com repository. 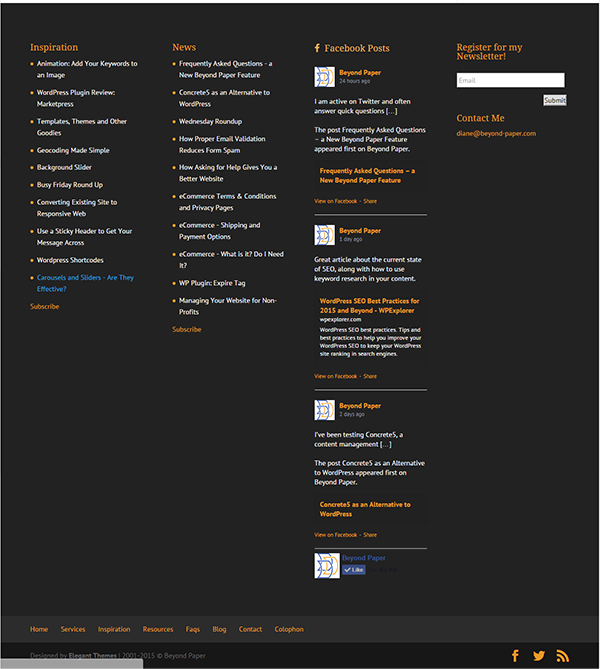 Advanced customization, but no premium themes – you are limited to themes in the WordPress.com repository. The Business plan offers unlimited space, premium themes and eCommerce. You are still limited to themes in the WordPress.com repository. WordPress.org allows you to download the WordPress application and install it on your hosting site – so it will be associated with your domain name out of the box. You can install any number of plugins and themes and can do any kind of customization you want, including adding eCommerce. Your storage space is limited by your hosting plan. Self-hosting is all about flexibility, but with that come some added site maintenance issues. You will need to check in occasionally and update WordPress, any plugins and themes (easy with WordPress, just click on a button). You will need to make sure you have at least one anti-spam plugin and install a security plugin with automatic backups. These plugins can be had for free. I would definitely go with WordPress.org. The flexibility a self-hosted WordPress.org site offers far outweighs the small amount of maintenance necessary. But if you aren’t convinced, WPBeginner has created a comparison infographic that will help you make your decision.